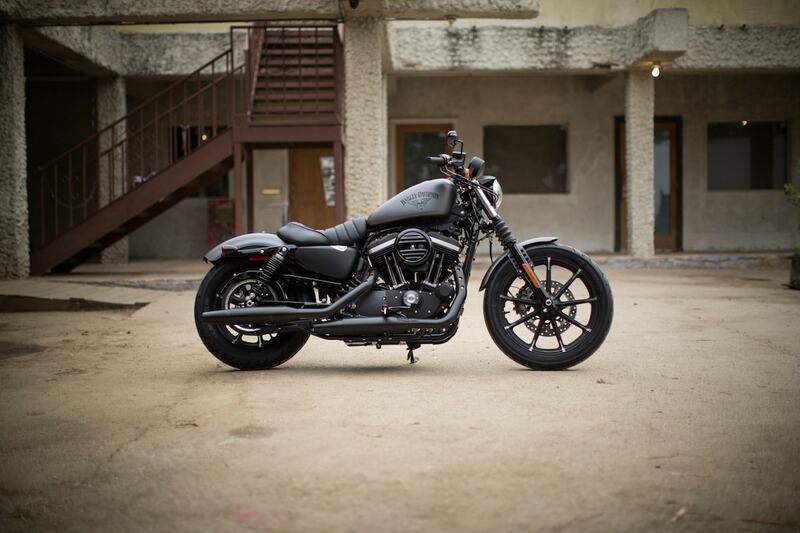 The Iron 883 from Harley Davidson is probably one of the bikes that attracted a range of new customers in the last years. 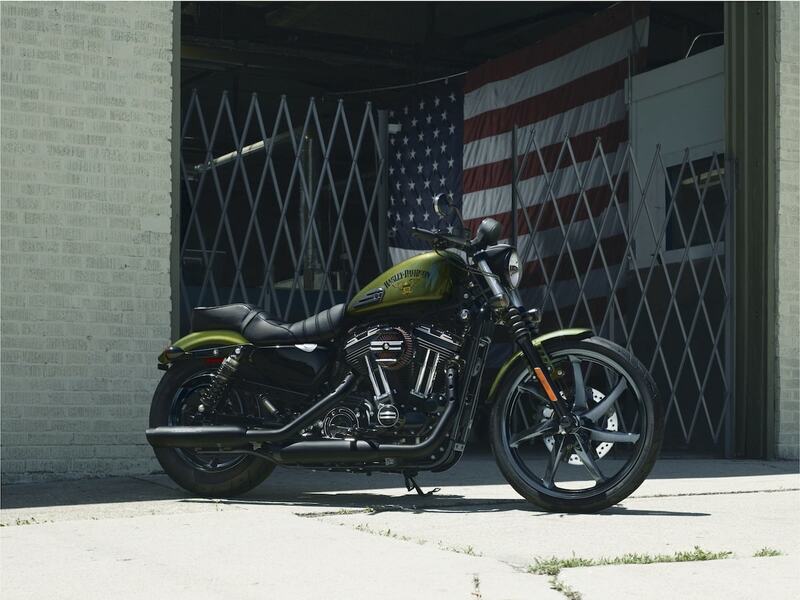 Why not – you’ll get a real Harley and all that goes with it, and yes, the 883 Iron is probably an entry level bike from Milwaukee. 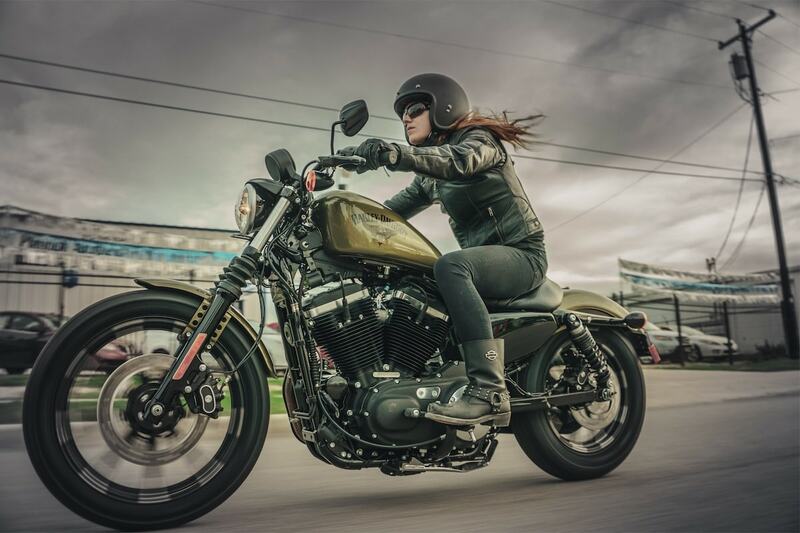 Reasons enough for Harley to provide a thorough facelift for the ‘dark’ Sportster. The newly aligned chassis is now equipped with a new cartridge fork and triple-rate springs that are said to enhance driving stability as well as the comfort. A newly stitched solo seat at only 30.5 inches height over the blacktop makes the machine even more comfier. Also new are the 19 and respectively 16 inches nine-spoke cast aluminum wheels with machined highlights. New Graphics adorn the 12.5 liter tank and a new, chopped front fender covers the front wheel. 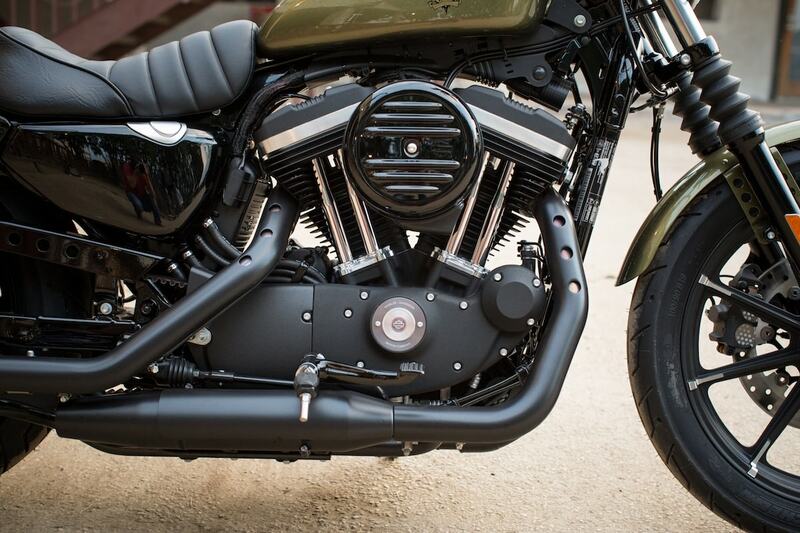 The exhaust system is now implemented in dark black as well as the new rounded airfilter. Decorative bullet holes that remind one of the look of classic weight-reduced motorcycles with boreholes, can only be found on the fender baskets, on the cambelt cover as well as on the front and back manifold cover where they reveal the chrome layer beneath. Responsible for the propulsion is the 883 cubic centimeter Evolution V2 with a maximum torque of 71 Nm at 3750 rpm. 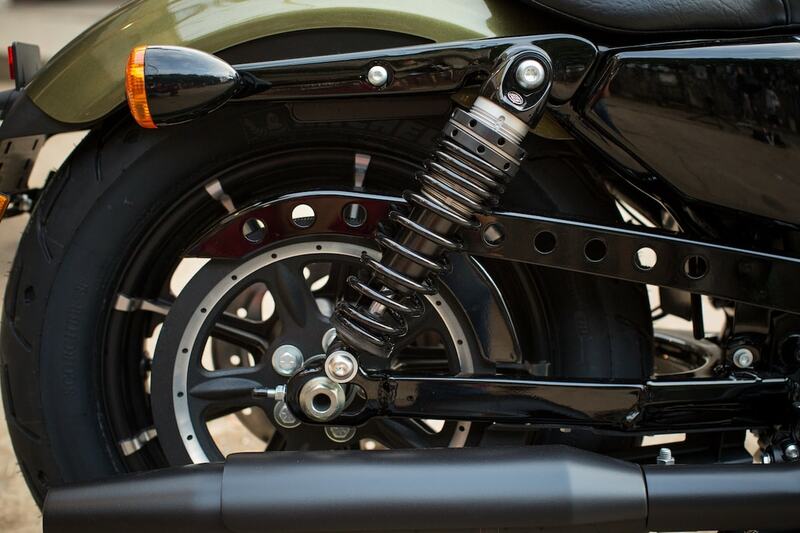 The V-Twin is coupled with the precise five-speed transmission and integrated in the handy and stable Sportster chassis. The force is further on transferred via a tearproof cambelt to the back wheel. Braking is supported with an antilocking system. At the front wheel a swimming stored brake disk in a black mounting is deployed – result: opimized deceleration. Another standard: the Harley-Davidson Security System with engine immobilizer and alarm system which is automatically activated and deactivated. 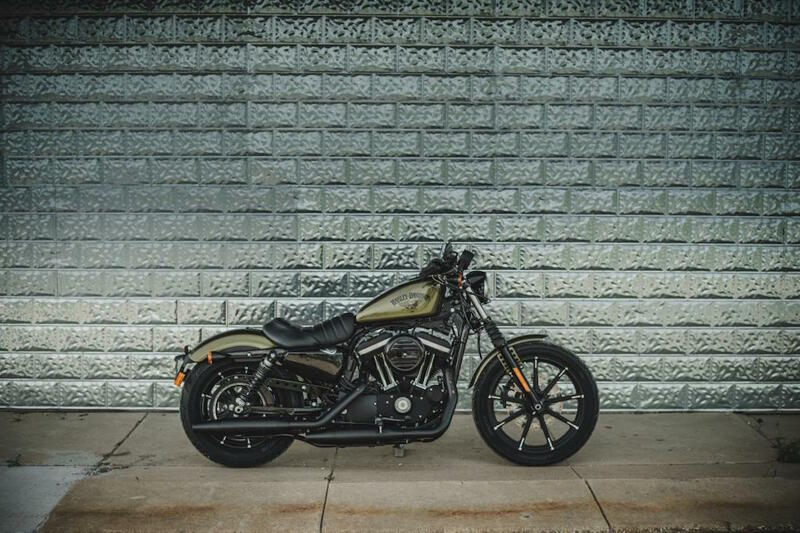 The 883 Iron 2016 is available in Charcoal Denim, Black Denim, Olive Gold as well as in the metallic finish Hard Candy Gold Flake. 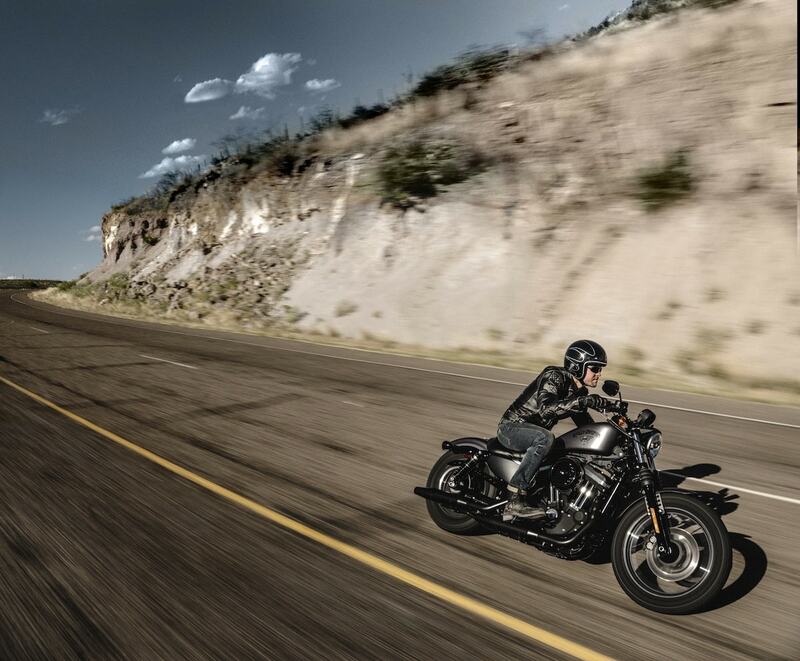 As with all Harley-Davidson motorcycles a 2-year warranty and a 1-year mobility warranty is granted on the bike.